Sit back, relax, put your feet up and be transported through the sumptuous, evocative photography in Marie Wallin's eighth stand-alone pattern book to Unst, the most northernly of the Shetland Islands. This collection of eight hand-knit designs screams lifestyle envy, with the beautiful model posing moodily on windswept beaches and even managing to look good accessorising the designs with a pair of wellies. Wallin built her career and reputation as Head Designer at Yorkshire-based yarn and pattern house Rowan before going solo in 2013 and launching her own design company from her home in Leicestershire. She runs workshops and a Fair Isle club but it intricacy and delicacy of her patterns that she's best known for. The eight patterns in North Sea are knitted in Rowan Felted Tweed, a non-British merino, alpaca and viscose blend; or Valley Tweed, the 100% wool yarn spun in Huddersfield previously mentioned on A Woolly Yarn in this blog post. Each pattern's beauty comes from the subtlety of the cabling and/or pattern design, knitted in cool, timeless colours. A Woolly Yarn's favourite is Islay, with cabling around the yoke and shoulders contrasting with a stocking stitch body and arms. For knitters nervous about the difficultly of making an all-cable sweater this pattern would be a good place to start. Second favourite is Skye. The cabling and yoke pattern in grey and blue recreate the colours of an Unst seaside day. Less experienced knitters could leave out the cabling and replace it with stocking stitch. Bute is a cabled cardigan with subtle shaping around the hips that's perfect for wearing with jeans or skirts. Soay's shorter length has boxy, tranquil feel created with a mixture of cable and rib. Eriskay, a muted grey sweater, also uses a mixture of cables and lines to create its subtle patterning. Tiree has a darker feel, reminiscent of thundery skies. The Arran cardigan is a great cover-up for when the wind starts to blow. Finally the Uist v-neck cardigan has a longer body and mixes cables with a flower pattern. A Woolly Yarn received a review copy of this collection but it has not affected our review. North Sea really is a coffee-table publication that's a delight to flick through and admire the patterns and the spectacular landscape of Unst. The designs live up to Wallin's high-standard reputation. The downside? There isn't an pattern here for beginners or less experienced knitters to tackle. The cable and pattern designs are charted and do not have the alternative option to follow them in written form. 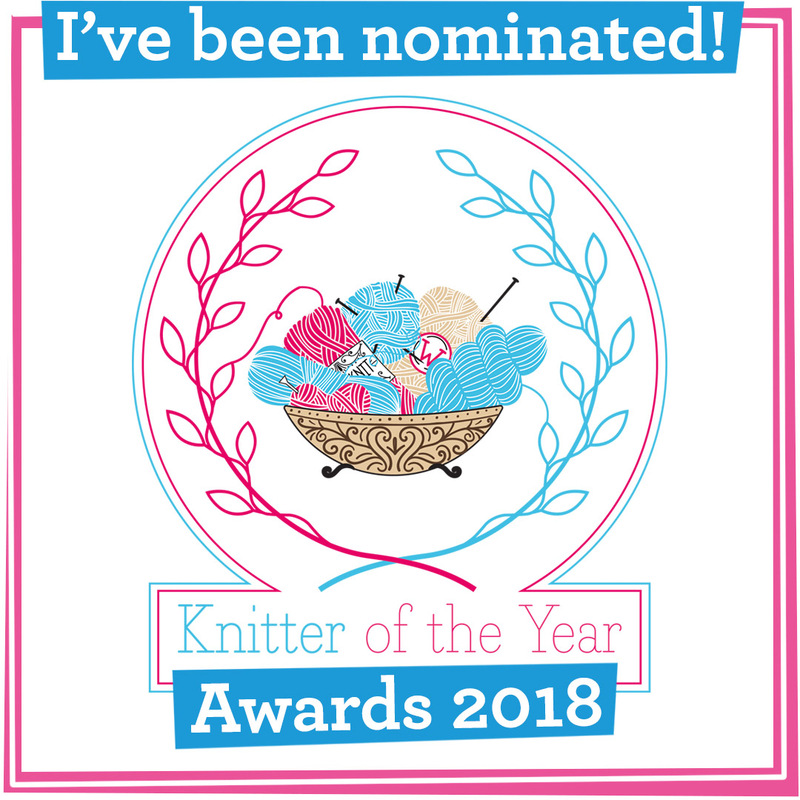 The charts are very small and would be difficult for even experienced knitters to follow: these aren't patterns to knit whilst watching television! 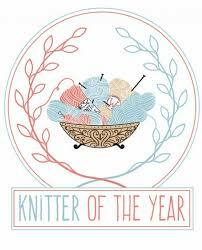 Knitters who do complete a design, however, will have a quality garment to cherish forever. 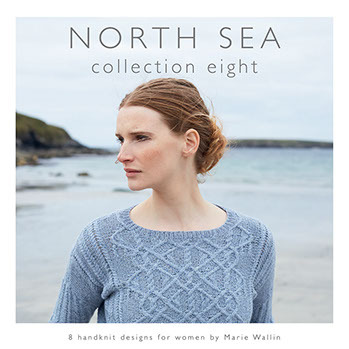 North Sea is available to buy from Marie Wallin's website and costs £13.99 plus P&P. Coming soon is Wallin's Shetland collection of eight garments and four accessory designs - watch this space for a review next month. For A Woolly Yarn's review of Wallin's Springtime Collection Six, published back in 2016 go here; and for a review of her first stand-alone pattern book, Windswept, visit this page.